Unmasked: The Journey from Surviving to Thriving is a book that was recently released by my blog friend Bethany Boring. Bethany and I initially met on each other’s blogs and then we began catching each other’s Periscopes. 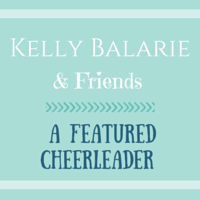 Today I am sharing one of my Unmasked stories over at Bethany’s place. “Those words open many fairy tales, but our lives are not all fairy tales, are they? They don’t all end with “happily ever after.” Read the rest of the story Here! 1. How did you come up with the name of your blog? I have always loved the prairies of North Dakota. Spending time on them is holy time for me. And on the prairies of North Dakota, you cannot help but feel the effects of the wind which always reminds me of the Holy Spirit. I wanted my blog title to say something about who I am as a beloved child of God and where God has called me to be. I also love to pray for others. For the last five years, I have prayed through my Facebook friends list for Lent. So together prayer and my beloved prairies of North Dakota led to creating my blog title: Praying on the Prairie. 3. What do you hope to accomplish with your blog? I want my blog to be a space where others will be encouraged. I want it to be a space that shows God’s love, grace, and mercy to the world. In fact, I want God to use me and my words to bless God’s people. I want people to know that there is power in hearing the words “me too.” I want my readers and followers to know that they are not alone. 4. What is your favorite holiday and why? Oh boy…this is a hard one to answer. I love lots of holidays. But my favorite holiday would have to be Maundy Thursday. Now I realize not everyone celebrates this holiday, but it holds a special place in my heart. On that night, Jesus stooped down and washed the feet of his disciples. As a woman called to word and service, called to pick up my own basin and towel, this holiday reminds me of my call in the world and reminds me that I am called to reach out to ALL OF GOD’S PEOPLE! 5. Name three words that Jesus would say describes you. Sweet, caring, tender-hearted. 6. Who is the biggest influence in your life? MY MOMMA! My Mom had a nervous breakdown right after my younger sister was born. My mom has never let her illness get in the way of who she is: a beloved child of God. She is one of the most faith-filled woman that I know. She could have easily turned away from God, but instead she just turned closer to him. 8. Where is one place you would like to travel? I have always wanted to travel to Scotland. I thought that would be a really cool place to visit. I haven’t traveled outside of the United States except for Canada. I really would love to go just about anywhere. I have international seminary classmates that I could visit. I have always wanted to go to Germany to see all the Lutheran sights. 9. What are you passionate about? I am passionate about quite a lot. But really I am passionate about reaching out to all God’s people. I am passionate about sharing my family’s journey with a mental illness. I am passionate about showing God’s love to all God’s people especially the downtrodden and outcasts among us. 11. What is the best piece of advice you have ever been given? “Show them your heart!” When I left my last church to take a new call at my current church, a bunch of them told me to simply “show them my heart.” In showing them my heart, they knew they would love me for who God created them to be. And they were so very right. 1. 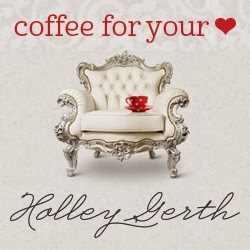 How did you come up with the name of your blog? 2. Have you always been a writer? 3. What do you hope to accomplish with your blog? 4. What is your favorite holiday and why? 5. Name three words that Jesus would say describes you. 6. Who is the biggest influence in your life? 7. What are your favorite books? 8. What is one place you would like to travel? 10. If you could meet anyone, who would it be? 11. What is the best piece of advice you have ever been given? When Life Is Wearing On You…. Sunday afternoon until this afternoon, I was at a retreat for rostered leaders in the church. This time is such a holy time for me…to gather with colleagues, listening to awesome speakers, and to have some time for rest and renewal. And little did I realize how this year, this was needed so very much. As some of you know, this summer has been a crummy summer in terms of Mom’s health. So many questions and so much confusion. I have been pretty open about sharing to friends, but holding it close to my chest for others. Yet on Monday morning, during our breakout time, one of my friend’s came up to me and asked if everything was ok. I replied that yes they were ok. Being such a great friend, she continued to ask that question and said “Let’s go for a walk.” We walked out into the beautiful North Dakota sun with my beloved North Dakota Badlands as our backdrop, sat down and continued our conversation. Oh how often are we all guilty of taking care of everyone else, but not always taking care of ourselves. I’ll admit that I am pretty good at self-care, but there are times when self-care isn’t always my first priority. My friend totally called me out and said, “What are you doing to care for yourself?” I thought about it for a minute and said, “Time with friends, blogging, etc.” As I have reflected on our conversation, I have been thinking of more ways that I can take care of myself. Because sometimes life has this way of wearing on us….wearing us much like a beloved shirt that needs to be discarded etc. Sometimes life has this way of wearing on us….and tearing us down. Sometimes life has this way of wearing on us….especially as I continue to ask God why. And yet as I am reminded of how life can wear on us, I am also reminded of how God knows…God knows when life is wearing on us. God knows when to bring people like my friend Erin into our lives at the right times and places. God knows and continues to walk with us! God especially doesn’t want life to wear on us. So God places people into our lives to walk that journey with us. After we spoke, I found myself sharing with several other friends/colleagues. To be honest, there is a part of me that holds pieces of our story close to my heart because I feel like I am always vomiting out words about our story. Yet what God reminded me the last several days is that God places people into our lives to be there for us, to listen to us, to be the shoulder to cry on or the ear to listen, and to hold a piece of each other’s worn stories (not to take it away from us, but to bear the burden with us) so life doesn’t wear on each of us so heavily! I am linking up for the Five Minute Friday. The FMF is hosted by Kate Motaung on her blog Heading Home. Today’s prompt is “Dear.” Write for five minutes; unedited. Growing up, I was the kid that was teased and picked on. Yet I was lucky to find a dear friend in elementary school who became my best friend. Mandy had been held back in school because she received a kidney transplant. Mandy became my best friend. And due to health concerns, Mandy passed away at a very young age. I miss her every day, yet God has blessed me with even more amazing and dear friends along the way. A year ago when I moved, I was so worried about making new friends, but I should have known that God would come through so HUGE for me. I have the most amazing dear friends. There is my friend EG who sat in the ER with me when my Mom was there and is always so much fun to spend time with. There is my friend KG who is just so much fun to be around and who loves life to its very fullest. There is KW who has since moved but who I am so glad is a part of my life. There is my dear friend CT who is very much my soul sister. These dear girls are my prayer partners and friends for life. I don’t know what I would do without them! I am so very thankful for each of them. There are also my dear camp friends and my dear seminary friends. There is my dear friend STM who introduced me to the InCourage community. She is one of my favoritest people in the world. I am so excited to spend time with her in January and to meet her little girl little Miss Lucy. I am so ready for baby snuggles! I am trying to relish in every moment, but there is a huge part of me that thinks the end of January cannot come fast enough. And these are only just a few of the dear friends I have been blessed with in my life. As a blogger, I have always seen my blog as a place for me to express myself and share my thoughts. I love receiving comments and seeing that others are reading my blog. But I never imagined the community that I would find along the way. I have found community through the write 31 days challenge and the Five Minute Friday. I have spent the last three Thursday nights on Twitter chatting and praying with women all over who simply get me and are a part of my tribe. There has just been something so incredibly holy about finding community with these dear women who get me and understand me for who God created me to be. This community has allowed me to guest post on several blogs where I have been able to share my story. This community has introduced me to wonderful dear women who I can share my heart and soul with. My heart loves opening my phone and seeing a Voxer message from one of my dear new friends. It is almost hard to put into words what it means to chat with each of you and know that I am not alone in this crazy messed up world. And because I love these dear women so. I am participating in my first ever FMFpartySnailMail. I put my first letter in the mail yesterday and am impatiently waiting for my first letter to appear in my mailbox. Thank you, dear friends, for loving me. Thank you, dear friends, for being a part of my tribe. Thank you, dear friends, for being welcoming. And, dear dear friends, know you are always welcomed here. And, dear dear friends, know you are indeed loved and treasured by this dear soul! I’ll admit that I love this time of year. There is something just so incredibly holy about waiting and preparing for this King to be born. And to be born in a manger of all places; the unlikeliest of places for baby Jesus to be born but that is exactly where he comes into the world. When Mom and Dad were still together, they did everything to make sure my sister and I had a great holiday season. I only remember some of the gifts we received but I do remember who we were with. It was more important to spend time with family then the gifts we received. They taught us the true meaning of celebrating this season. I remember when I was in 5th grade and my sister was in 2nd grade when they bought both of us our very first Bibles. Andrea and I were so excited for those Bibles that one day when Mom and Dad went out, we took a peak at what was in those beloved Christmas packages. I’m almost ashamed to admit it now, but we opened up those gifts, took a peak and rewrapped them! Yes, you read that right. I collect Nativities. The collection is a wonderful reminder to me of why we celebrate. In fact, if you ever been to my house, you would know that I keep one up all year round. Some friends and I visited another friend and noticed that she had a nativity up in her office. My friend asked why and she asked, “Should we just celebrate Jesus one day a year.” When I heard her answer, I knew that from then on I would keep one up to remind me to celebrate Jesus all year through. I have nativities from different parts of the world. I have Nativities given to me from so many different people. Each one has it’s own unique story. bought while she was living in Guatemela! Today as I put them out, I was once again reminded of where each one came from and the person who gave it to him. I found myself stopping, holding the nativity in my hand, feeling it’s texture and taking in it’s beauty just like I believe Mary took in every scent of her new son, took in each of his features and realized whose mother she was to be! given to me by my Aunt C.
God sent God’s son into the world as this beautiful gift who wasn’t afraid to turn the world upside down. My aunt C gave me a nativity that she bought for my Grandma while Grandma was living in the nursing home. My Aunt didn’t realize I collected Nativities but one day I must have mentioned it in one of our conversations. Not long after, the nativity arrived at my front door with a note about how this gift was always meant for me. Every time I look at this gift I am reminded of the angel’s words to Mary. “Do not be afraid.” God sent God’s son as a promise of peace and hope in the world especially in a world that is broken. And trusting in Emmanuel “God with Us”, this Advent season, may we take the time to take in the beauty of this season and remember the true reason for the season. I am so incredibly grateful and thankful for so much. But I also know there are many hurting today as well. If you could please say a prayer for a friend and his family today, I would greatly appreciate it. His mom passed away last night. May your hearts be filled with love especially Gods love today. Happy Thanksgiving friends and family! I am so very thankful for each and everyone of you! (N) North Dakota. I love my beloved prairies of North Dakota. This place will always hold a special place in my heart. (O) Office (My office) I am so thankful for my job and my own space. (P) Praying on the Prairie…my blog; a place for me to pour out my heart and soul. Thankful to all of you who read my posts and comment on them. (Q) Quarters. I am still so very thankful that I don’t have to look for quarters every time I want to do laundry. (R) ROOK; the card game my family and I play at all of our family gatherings. (S) Stocking caps to keep my head warm on cold days. It is snowing rather heavily at the moment and I am so happy that my friend Sarah made me a cap to keep my head warm on days like today. (T) Tires. I have a flat tire on my car and am pretty sure it has a slow leak SO today especially I am thankful for tires especially new tires. (U) University of Mary where I got my college degree and made awesome friends through Campus Ministry, the Communications program, through the Drama department and so much more. (V) Voxer. I haven’t really thought of my self as an overly techy person but I do enjoy technological. Voxer has become one of my new favorite apps since it allows me to talk to new friends; near and far. So cool!!! (W) Wartburg Theological Seminary. So thankful for that place and all the people there. (X) Xtremely awesome friends and family! (Z) Zumba. I am sad that my Curves is no longer offering Zumba. I am on the master search for a video of Zumba instruction. It is something different and really makes my work outs very effective. Hi Friends! I don’t know about you but it is so crazy to think it is already that time of the year: Thanksgiving and then Advent and Christmas. A couple of years ago I did this A-Z list of Thanksgiving and it got rather long. Today I saw a friend was splitting hers up into two posts and I thought what a great idea. I know we are all busy this week so thought I would keep it simple and do something a little fun. Enjoy my friends! (A) My younger sister whose name starts with the letter A. She is one of my best friends in the world. Love her to pieces. (B) BLC–The place where my momma lives. They truly take wonderful care of her. (C) Camp of the Cross (or as it is sometimes affectionately called on this blog SuperAwesomeBibleCamp). It is the Bible camp that I worked at for several summers and is also the place where I heard God calling me into ministry. (D) Dilworth Lutheran Church. It is the place that made me into the woman leader that I am today. So thankful for that place and the dear people there. (E) Every Day Holy which is my friend Sarah’s blog and other awesome blogs that I get to read each and every day. (F) First Lutheran Church. This place is indeed blessing my life. Thankful and blessed to serve here. Also Friends. I have been incredibly blessed with the most awesome amazing friendships. So thankful and blessed to have each and every one of them in my life. (G) Grandparents. I love them so much and miss Gma and Gpa H as they are both in heaven. Looking forward to spending time with Gma and Gpa U this week. They all have taught me so much. (H) HUSKERS! Yep I am a huge BIG RED fan! And of course I am thankful for my very cute little house. (I) InCourage. I am so thankful my friend Sarah introduced me to this website and its groups etc. Part of my morning routine is to read the InCourage blogs. So many times their words touch my heart! (J) Japanese Treats and Japan. Where my friend Heather and her hubby currently are living. I love when she sends me treats from Japan. And I love reading about their adventures there! (K) A sweet little girl at church whose name starts with the letter K. She runs down the aisle every Sunday during the Meet and Greet time to give me a hug. I am thankful for her and all the kids I get to work with at church. I also love spending time with my friend CT’s girls. So blessed to have them all in my life. (L) Link-Ups. I didn’t realize there were so many awesome link-ups out there until I participated in the write31days challenge. (M) My Momma. And my friend MW. So that’s my A-M list. Be back tomorrow with my N-Z list! This is not at all how I imagined my life! Ever since I was a little girl, I have wanted to be a mom. My sister and I would play with our Cabbage Patch dolls. We would spend hours playing with our dolls and caring for them like a mother cares for her child/children. Mom even saved all of our baby clothes for the day when we would have our own children. Those clothes are STILL carefully packed away until that day. But that is not what my life is. I am a thirty-six year old single woman who is very weary…weary of this season in her life, weary of having a life that I didn’t imagine, weary of not finding my Prince Charming and getting my “happily ever after.” I know that I need to give it to God and trust in God’s timing not my own. Yet, my friends, I am still weary; very weary! I watch as dear friends find their Prince Charmings and two lives become one. I watch as many friends around me hold their beautiful children after they take their first breath. I even walk through the department stores picking out cute outfits for these little ones and then buying those clothes. I take them home, wrap them beautifully, pack them carefully into a box and then send them off to my friends knowing how much this little gesture means to them. I’ll be honest…I love shopping for baby gifts but there is also a part of me that feels broken as I am shopping for them and not for my own children. Truthfully, I am so very happy for them yet I am still weary; weary of this season of singleness in my life. I got to hold a three week old baby at church last week and I was so happy. I held that sweet soul against my chest and breathed in her beautiful scent. I was delighted that her Mom let me hold her and spend time with her in my arms. Together that little girl and I walked up and down that room; chittering and chattering. I was in my own little world. Holding new life brings me such joy…and even hope. Yet I am still weary…still deeply weary of this season of singleness in my life. I wonder when this season will end or if it will last forever. And my heart has a hard time accepting the fact that this season of singleness will last my entire life….because I still so deeply yearn to be a mother, to find my Prince Charming and to have my “happily ever after.” Why would God put this desire on my heart if it wasn’t part of my story and this season was going to last forever? 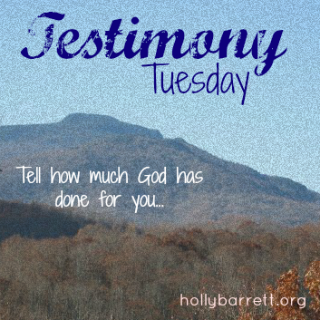 I have spent my thirty six years on this Earth serving God in the best ways I know how. Yet this season doesn’t seem to be anywhere near the end. I know that perhaps God might be calling me to a new plan; a different plan. Perhaps God is calling me to do foster care. Or maybe God is calling me to be a mom through adoption. (Two things that have found a way into my prayers and my heart as I discern where God is leading me) I am not sure when this season of singleness will end…but what I do know is that there are others of you out there who understand where I am coming from. You too are tired of being alone. You too are ready to find your Prince Charming and have your “happily ever after.” You too very strongly dislike being the fifth wheel. You too dream of the day when you get to try on wedding gowns and experience the “This is the ONE” feeling as you put it on. Then you too also picture yourself walking down the aisle to your Prince Charming. You too wonder when this season will come to an end. And, my single friends, I am with you every step of the way. I am sooo exhausted; so tired of explaining why I am still single. I am so tired of waiting for my dream to come true. But what I do know is that my worth is not determined by whether or not I am a mom; or whether or not I am a wife; or whether or not I have a ring upon my finger. My worth, our worth is determined by the one who fashioned us, formed us and knows every hair upon our heads. This One who knows if, when, and how this season of singleness will end. Some days I still have an extremely difficult time trusting in this One….yet I know that this One has the ultimate answer and knows every desire of my heart; every desire of your heart. I pray that together, as we are so very weary of this season of singleness, we can find a way to see each other through this time. But, my friends, even as I pour my heart and soul into this space, I want you to know even though I am trusting in my Lord’s timing and not my own….. I am still weary; weary of this season of singleness. I really am not that lucky of a person. I have put my name in many times, but have never really had my name drawn except this one time. My friend SKDO and I were at Hobby Lobby for a scrapbooking event. We both registered our names. We were walking through the store when SKDO looked at me and said, “I think they just said your name over the intercom.” We went back to the area and sure enough they had drawn my name. I won a scrapbooking basket that had approximately $50 worth of scrapbooking supplies. I told SKDO that she must be my lucky charm! 🙂 Being that I am not that lucky of a person, when I get accolades from someone it truly makes me feel really good. 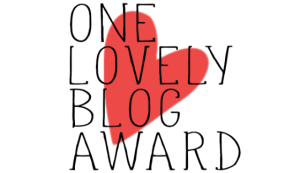 I am honored that my new #write31 days friend Barbara who blogs at Barbara’s Blog nominated me for a very special award; the One Lovely Blog Award. She wrote this about me, “Theresa and Tara have followed my blog since the beginning of the write 31 challenge. I have been encouraged to continue writing during the whole 31 days because of their uplifting and supportive comments.” I am so glad that she has felt encouraged from my comments. 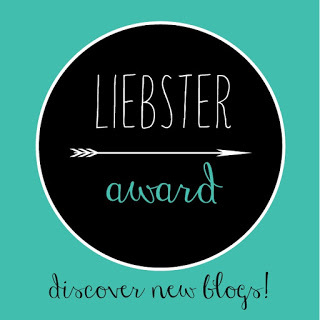 I also (as a fairly new blogger) am humbled that Barbara nominated me for this award. As part of the award, I am to post seven facts about myself so you can get to know me a little better. So here goes nothing…. (1) I am a published poet. I have had several poems published in my seminary’s publication. I also have had a poem published in the poetry.com poetry anthology. (2) I only have two first cousins and we are all girls born on the third of a month; June, January and September 3rd. My sister came along and broke the trend. We have decided she wanted to start a new trend though; both her and our dad were born on the 26th of a month; August and September. (3) My absolute favorite color is GREEN! When my friends and I go shopping, they always spot green clothing items and will wait to see how long it takes for me to find it. (4) I LOVE cinnamon gummy bears! (5) I am a HUGE Nebraska Cornhuskers fan! My mom’s family is from Nebraska and my sister and I were both born in Nebraska. The day my Mom was in labor with me, my dad, the doctor (a dear family friend) and my Grandpa were talking about the big game they had played that day. I always joke that I was destined to be a Huskers fan since it was the first thing I heard when I came out! My best friend gave me a stuffed Herbie the Husker (which is special to me since Mandy passed away several years ago) and my mom had a homemade Husker quilt made for me. (6) I worked at SuperAwesomeBibleCamp for approximately 7 summers. It is one of my favorite places in the world. It is located on the shores of Lake Sakakawea! (7) I love babies!!! I could sit and cuddle with them all day long! I cannot wait to be a momma someday myself. Ingrid is one of the first people I met through her blog during the write31days. I have always felt so welcomed at Ingrid’s place. And I have loved every bit of her words! Kirsten always posts blog posts that make me think. I honestly cannot get enough of her words either! Therese was also nominated by Barbara but I had to give her a shout-out. I feel like I have known Therese for a lot longer than I have known her. Her #write31 days was all about her journey with depression. I am thankful for her bravery in sharing her story. Anna is one of the sweetest women that I know. She isn’t afraid to share her heart. I met Anna when her and her husband were working at one of my fave places in the world. Even though the miles seperate us, I am so very thankful for Anna’s heart and her words. Love you dear sister in Christ! Erin is a young lady I am glad to have met through the write31 days challenge. She is a beautiful soul and I love her words! Stephanie and Jermaine (husband and wife) also participated in the #write31 days. As a poet, it was so fun to find their blog. I cannot wait to see what their next project is. I am thankful to be on this journey with these two beautiful souls. Dana is this amazing woman of Christ. I feel like I have known her a lot longer than these 31 days as well. I love Dana’s heart. I first met Dana through one of her Sunday posts where she shared her heart through her music. It was so beautiful! I love that Dana is always willing to encourage me. I love that we have been getting to know each other better by voxing with one another. God brings people into our lives at the right times and at the right places. I feel that way about our friendship. Dana understands my heart and is, in so many ways, my dear soul sister! Sarah is one of my dear friends. She recently returned to blogging after being away for a little while after having her first child. Sarah and I worked at SuperAwesomeBibleCamp together. Sarah is a dear friend and I am so happy to see her blogging again. Miss you friend! Julia is a diaconal sister who I am so blessed to have in my life. I always enjoy reading her blog. Well I think that will be my nominations. I seriously could nominate so many more! But I don’t want this blog post to get too long. Please stop by and give these ladies some comment love! I am so very thankful for each and every one of them (and each of you!) I am so glad you all have allowed me to stand on your “holy ground.” LOVE YOU GALS! !